Crochet in the Round - Video Tutorials. The crochet in the round technique significantly broadens possibilities of crocheting. 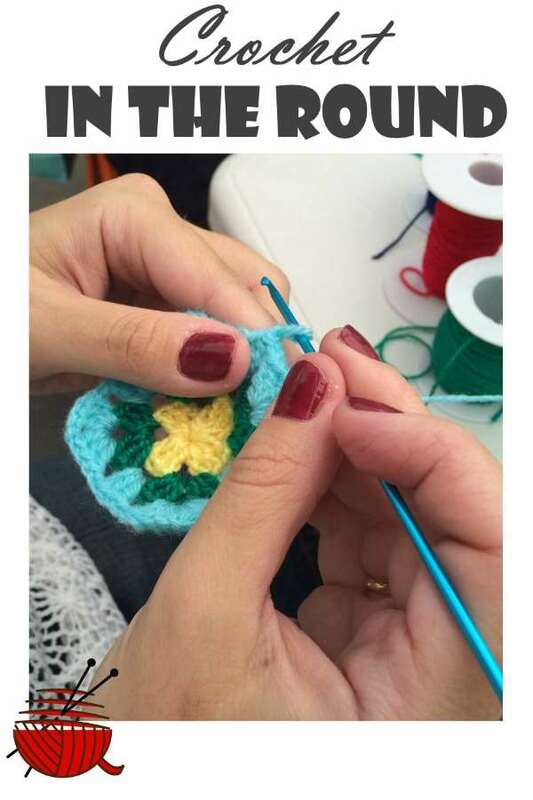 There are many projects which we can't even think of using crochet in a row technique only. Here are typical projects, which can be done using this kind of technique: hats, doilies, granny squares, triangles, ovals, buttons, flowers, top-down sweaters, and so on. Any "crocheting-a-round" project begins from a central ring. A central ring for this kind of projects is the same as a foundation chain for the "crochet-in-the-row" projects. Traditional way to form a central ring is , to join several chain stitches together with a slip stitch. The most important moment while you crochet in the round is preventing it from buckling. Let's consider a little bit of geometry. -:) While we crocheting in rounds every next round we place further and further from the center of a circle or central ring. In other words, the further from the center a row is located, the greater radius it has to have. It means that a circumference of every next circular row is also longer than in the previous row. How can we make a circumference of the next circular row longer ? To form a necessary length/radius of the circumference, we have to add a certain number of additional stitches (increases) for every new circular row. There are some certain rules for increases, to be added in every new circular row in order to keep our fabric lying flat. We call it "A Law of a Circle. For example, crocheting single crochets will gain radius of the next round less than if you would crochet double crochets. Hence, number of increases per each new row depends upon the type of stitch you use for crocheting your circle. Detailed information about number of increases for each type of stitch can be found on the learn to crochet page. The very same result can be achieved in a few different ways. Not only number of increases per round have to follow "Law of a Circle" in crochet in the round projects, but very often rhythm of increases (not the number of stitches added per row) can be different from round to round. Traditionally increases are located along the very same radii which makes final shape not a perfect circle , but polygon. That's why for cases when perfect circle is a vital necessity, we change rhythm of increases from row to row not to keep the located along the very same radii. It sounds somewhat confusing from the first glance, but once you understand the logic of increases and gain some experience, you won't have any troubles designing your own projects. Here are two comprehensive videos for you to learn how to make crocheting in rounds.